One thing that people who know me closely are aware of is that if I had not been a content writer, I’d have been a Fashion Designer. My obsession with formal and bridal dresses is to the extent that a greater part of my phone memory consists of pictures of different attires from all over the internet and most of my dresses are self-designed. (If you want to have a look on those and get inspirations for the current wedding season, pat on my back so that I get myself sorted for the wedding series). Over the last decade, a tremendous growth has been seen in the Pakistani fashion industry. While the maestros in Bridal dresses like HSY, Deepak Parwani, Maheen Kardaar, Maria B. (to name a few) have always been there, many new designers such as Suffuse by Sana Yasir and Mahgul among many others have also established their names. 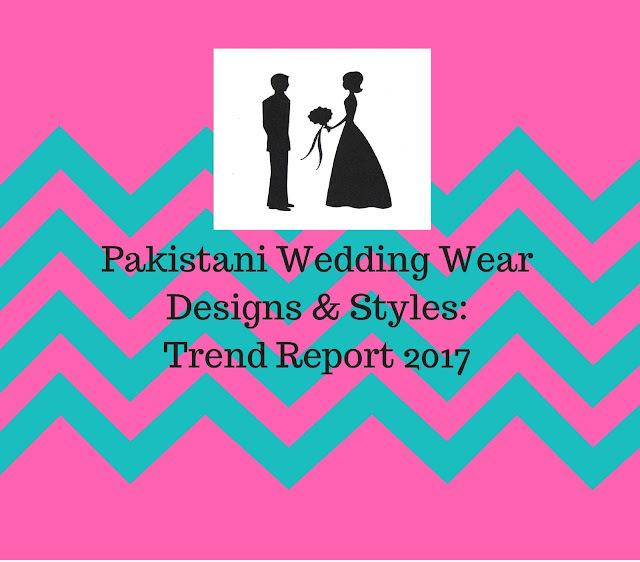 What it amazing about the trends in Pakistani Bridal Dresses today is that people are experimenting with colours and fabrics. While red may be the preference of many for the big day, it is no more the cult favorite of many. Different shades of gold, pink and ivory, with or without a hint of red, are trending these days. Many new fabrics have also been introduced into the wedding wear. I, for one, love pastels. Cotton net and maysuri have taken place of chiffon in semi-formal evening dresses. The good old organza has also made a comeback. Not only are people experimenting with colours but also fabrics. Mix and match of net, organza and chiffon in bridal, semi-formal, and formal wear with chermuse, jamawaar, and velvet. Velvet gowns, jackets, and shirts with jamawar shawls are all the rage for the winter weddings this wedding season. Peplums and ponchos with boot cut and cigarette pants and jackets with camisoles, undershirts and maxis are quite on trend this year. Sharara pants with peplums and short shirts are also in fashion. Embroided motifs on pants and fully embroided and embellished sleeves with a lighter neckline also give an elegant look to the dress. 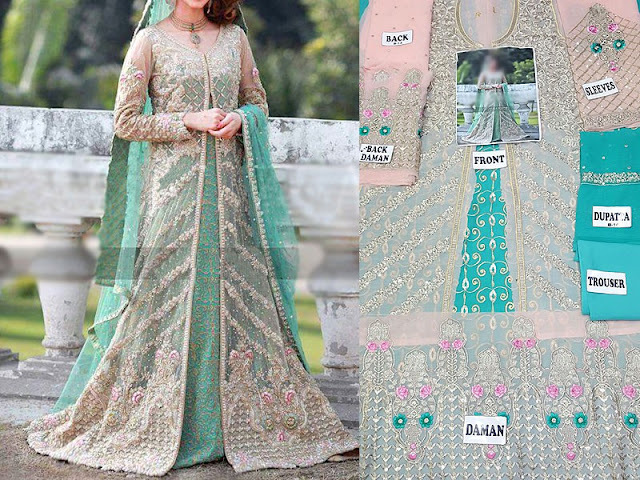 Replica designer dresses are also easily available these days. A huge variety of replica formal and semi-formal Ladies Dresses 2017 in Pakistan of leading brands can be bought online. 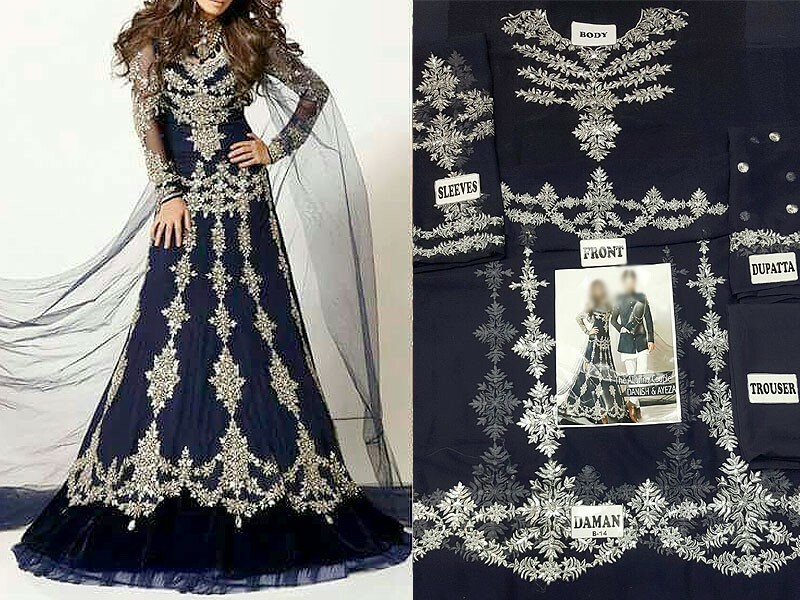 The prices vary according to the quality of the fabric and the precision of the designs with respect to the original dresses, which is indeed an affordable option for many. Leaving you with the thoughts of what to wear to the upcoming wedding event, I’m gonna go watch Moray Saiyyan; an ARY serial (that I am obsessed with) with the classic touch of old Pakistani dramas.